[dropcap]W[/dropcap]hen the Conservatives elected Andrew Scheer as its new leader last weekend, the Vancouver Sun shoved the story onto page 13 — so insignificant they thought — or wanted you to think — that it was. They certainly weren’t interested in you learning the big news, or who Andrew Scheer was, to say the least. Vancouver’s The Province (same owner — Postmedia) did worse: they shoved it back the furthest they could — to page 30 — which is just before the obituaries and sports. 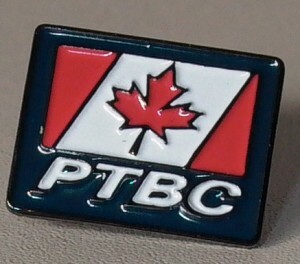 (See our article here). 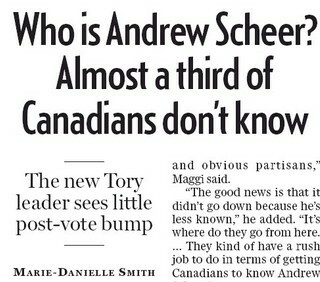 Today they — perhaps with a sense of victory — “report”: “Who is this Andrew Scheer anyway?” — and further report that almost a third of Canadians don’t know. Are the media malicious? Or merely obtuse? Hanlon’s Razor suggests “Never attribute to malice that which is adequately explained by stupidity.” But it’s not a rule we’re forced to abide by. Sometimes the liberal-leftist news media is malicious, and sometimes it is both malicious and stupid.